does something that no one else has done or perhaps even considered. In our generation, Steve Jobs comes to mind. He and his partner, Steve Wozniak, approached folks with the fanciful idea of creating a home computer. Not possible, they said. But in fact, it was, and the world hasn't been the same since. In the colonial days, we probably think of Ben Franklin, the man of many trades and talents. He was not only a statesman, but printer, writer and inventor. 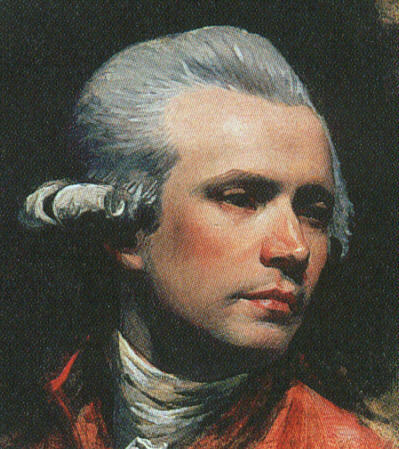 At the same time, there was a young man who would become the most influential artist in colonial America: John Singleton Copley (1738-1815). Born in Boston, Copley came under the influence of his step-father, Peter Pelham, who painted portraits and etched engravings as well as taught dancing and offered a writing and arithmetic school. 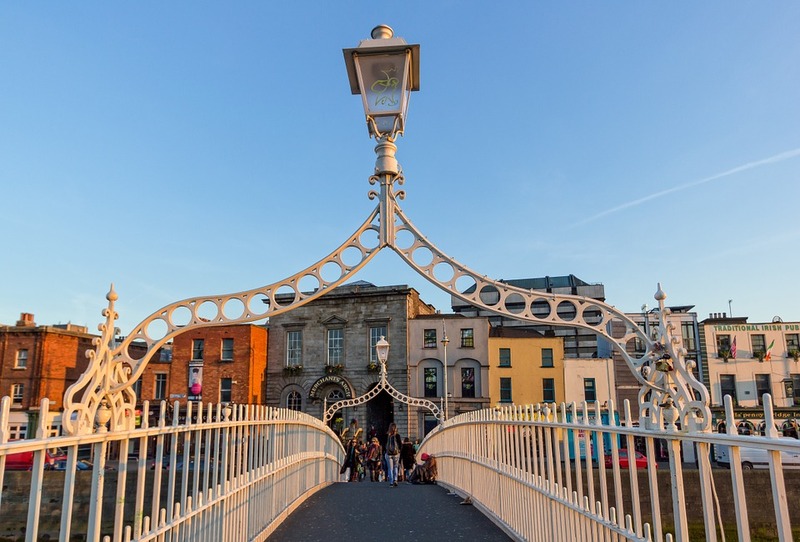 His mother and father (both from Ireland) owned and operated a small tobacco shop and after his father died, when Copley was a small child, his mother maintained the shop, which helped support the family until the artist’s success. Not much is known about Copley’s education and training in art, except for his step-father’s influence. He knew John Smibert (see April’s issue) and probably was a frequent visitor to the art shop/studio. There is evidence that the young artist studied under Joseph Blackburn (1700-1765?) who had a studio in Boston from 1750-1765. 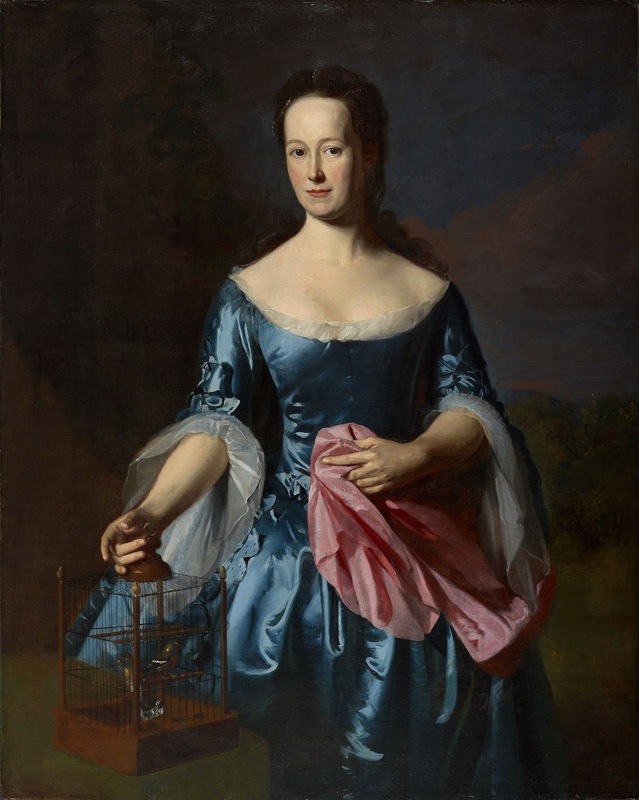 Here, Copley learned the Rococo method of light, color and portrait d’apparat (which is when the artist adds objects that are associated with the sitter’s life). Above is one of his earliest works, Portrait of Mrs. Joseph Mann (1753), which he painted when only 15. His style follows the rest of the current portrait trends. 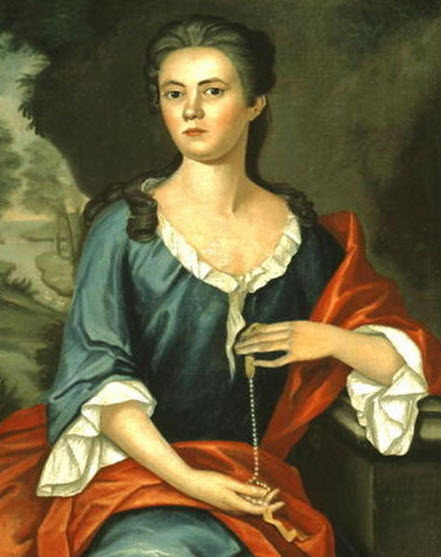 But then only four years later you can see a remarkable change (probably due to Blackburn’s guidance) in the painting below, Portrait of Ann Fairchild Bowler (1758). Speaking of Blackburn the teacher became severely jealous of Copley’s future success, which makes sense considering many of his works were attributed to Copley. artist living in England, made it happen. 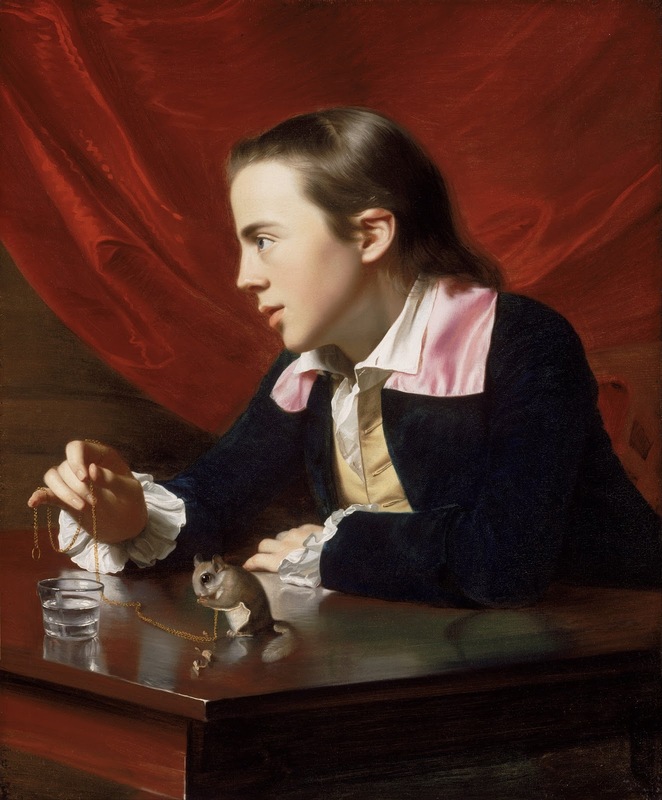 Copley submitted the amazing painting, The Boy with a Squirrel. The boy was his half-brother, Henry Pelham, who also went on to be a celebrated painter and engraver. And it was through this show that Copley gained accolades from across the pond. Copley was unhappy with his situation in Boston, considering it just a backwater port. The real action was happening in Europe. While his friend West continued to badger him about moving to England, he had to stay. Firstly, he was making good money, 300 guineas a year—more than anyone else in his position and secondly, he had a family obligation: his mother and half-brother. So he continue to live in Boston, eventually marrying, building a house on the west side of Beacon Hill, having six children. With his popularity and high income, Copley became part of the local aristocracy, painting state dignitaries, wealthy merchants families and portraits and church leaders. He even visited and painted dignitaries in New York City and Philadelphia. In time though, the political environment began to heating up. In 1773, the Boston Tea Party occurred. His father-in-law actually owned the tea that was tossed over board. I can well imagine the tension created by that event for the family. I never even thought about the person or persons who owned the tea. How angry they must have been. In any event, I think we tend to forget that a lot of the people in the colonies considered themselves English citizens or Loyalists. I remember when visiting Concord/Lexington and hearing the story of the midnight ride of Paul Revere. We learned that he would have never shouted, “The British are coming.” They were all British, instead he most likely warned, “The regulars are coming,” meaning soldiers. Interesting to consider another perspective. It’s not surprising then to learn that Copley sailed for Britain the next year, leaving his half-brother in charge of his family. Perhaps part of this nine-month adventure was an attempt to check out England for a future move. More likely though he was able to finally see and do what he had wanted for so long: to tour Europe and its great sites (art too). He visited Paris, Rome, Naples, the excavation of Pompeii and other places in order to improve his education and art. By May of 1775, boat loads of refugees were leaving Boston, headed for England. On one such ship was Copley’s wife and children. When he returned to London a few months later, he and his family settled in the posh neighborhood of Hanover Square. He never would return to America, although he wanted to go back home. Instead, he stayed in England and became a proper “English” artist, winning more fame and fortune. Shark. At the time, portraits and historical paintings were given the highest praise and attention; still life and landscape were given a back seat. It wasn't until J. M. W. Turner, (1775-1851) that landscape (and even watercolor) would be given any credibility. Most of the historical paintings stemmed from the Bible, mythology or battles—all lost in a distant past. But Copley and his friend West wanted to do more contemporary historical pieces. 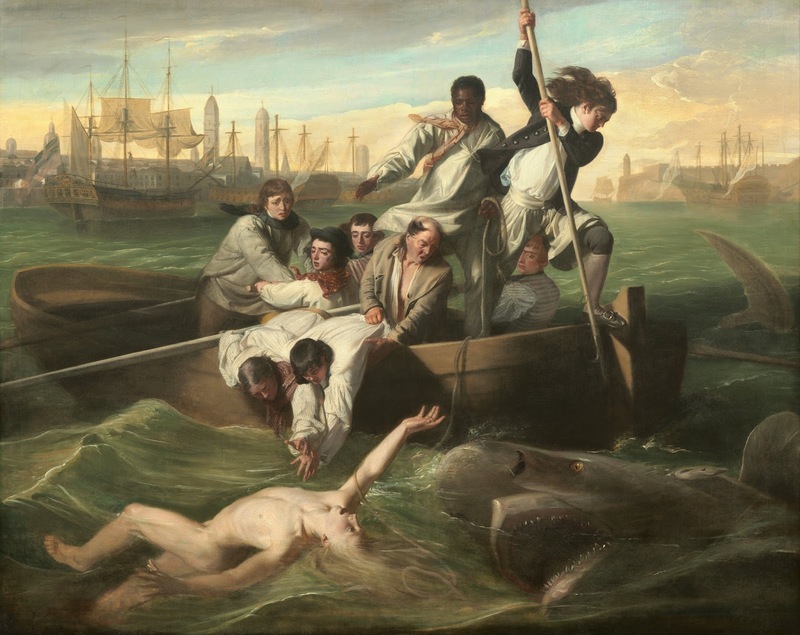 Watson and the Shark was based on a shark attack to a fellow artist, Brook Watson, at 14 years of age. I was enraptured when I saw this painting. 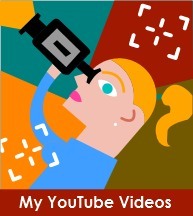 Not only is the composition and skill-level spot on but the drama is heart-wrenching. While in England he continued to receive commissions from the elite and earn a handsome income. And as with most celebrities, even today, he was leading a very expressive lifestyle. So much as that when the hard times hit during the Napoleonic Wars (1803-1815), he actually had to lean on his son (John, Lord Lyndhurst—barrister and future Lord Chancellor) to take care of his expenses. He died in 1815 in debt, which his son cleared so that his wife could stay in the house in Hanover Square. He created over 350 works of art. He is considered the most influential American artist from the colonial time. His style and realism influenced many future artists all way into the 19th century. Please note: In error, I stated that Copely was consider the Amercian Raphael when in fact, it was Benjamin West who was given that honor. My apologies.